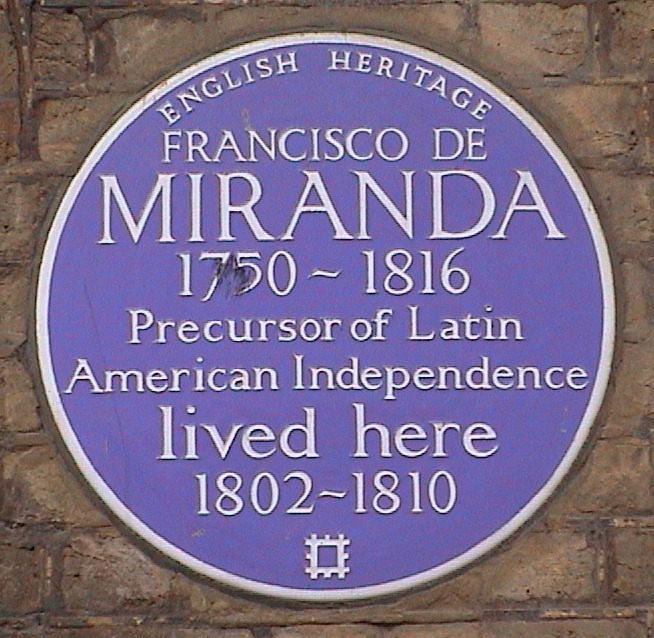 Francisco de Miranda, 1750 - 1816, Precursor of Latin Independence, lived here, 1802 - 1810. The upper of the 2 blue plaques. Born Caracas, Venezuela. Died in jail in Cadiz, Spain. 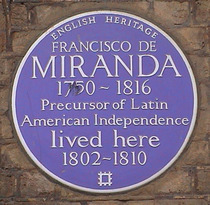 The lower of the 2 blue plaques.